Despite a growing body of research on resilience and its clinical significance in depression and anxiety disorders, relatively little is known about contributing factors for resilience in patients with these illnesses. We aimed to find characteristics of patients having low resilience for elucidating its clinical implications in depression and/or anxiety disorders, primarily focused on potentially modifiable variables. A total of 121 outpatients diagnosed with depression and/or anxiety disorders completed questionnaires measuring socio-demographic, clinical, and positive psychological factors. We divided patients into the three groups based on their Connor–Davidson resilience scale scores and investigated predictors of the low- and medium- versus high-resilience groups using multinomial logistic regression analysis. In the final regression model, low spirituality was revealed as a leading predictor of lower-resilience groups. Additionally, low purpose in life and less frequent exercise were associated with the low- and medium-resilience groups, respectively. Severe trait anxiety characterized the low- and medium-resilience groups, although it was not included in the final model. 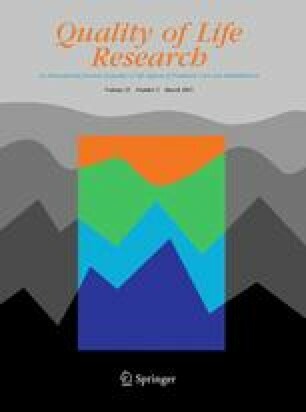 Spirituality, purpose in life, and trait anxiety contribute to different levels of resilience in patients with depression and/or anxiety disorders. Our results would deepen the understanding of resilience and provide potential targets of resilience-focused intervention in these patients. The authors wish to thank A-Young Shin and Su-Yeon Han for their assistance with data collection and management. We also thank Seung Hee Jeong for her comments on statistical analyses. This study was supported by grants from the Korea Research Foundation (2006-2005152 and 2009-0073189).